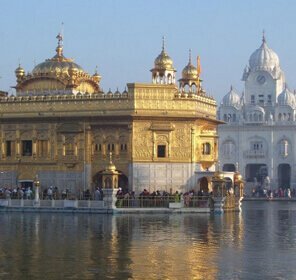 The beautiful state of Rajasthan with its rich cultural and architectural masterpieces is famous worldwide for its magnanimous fort, grand palaces and fortresses. 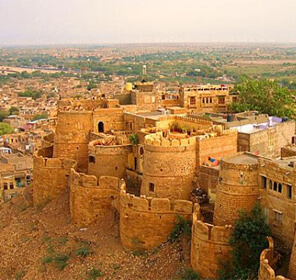 Shrouded in mystery and awe, the Khaba Fort is yet another enchanting fort in Jaisalmer. Once a native place of the Paliwal Brahmins, the fort is said to be deserted overnight under mysterious circumstances. Visitors can take the chance to look at the ruins that once served as palatial homes for 80 families for over two centuries ago. 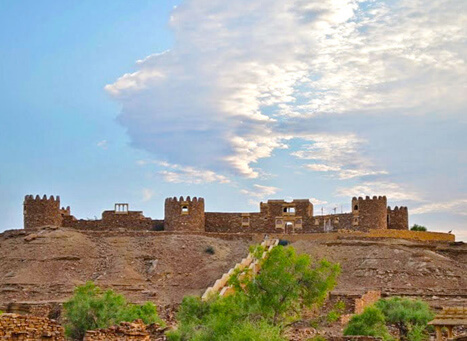 Take the opportunity to hear the mysterious story of this deserted fort from any of the nearby professional guides offering such services. On arriving at the fort, stroll around the crumbling structure and explore the small museum specially built for the tourists. The museum carries several ancient artifacts. Today the huge fort of Khaba is still known for carrying an eerie and abandoned feel with little human activity around the region. The elegance of the Fort is enhanced by the presence of many peacocks roaming around the fort. Witness over hundreds of peacocks and peahens roaming in the site for daily grains and experience a morning like never before. Combined with rustic feel, the overall experience is exquisite. 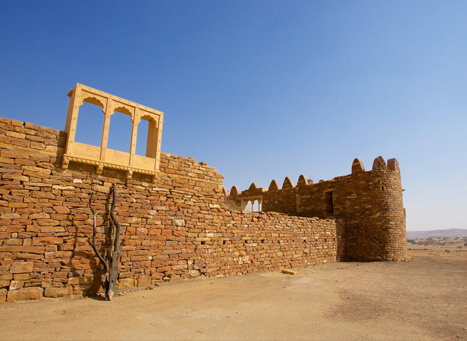 Khaba Fort is open every day and has an admission fee. Visit at sunrise or sunset, to watch the marvelous sandstone architecture and surrounding desert that dramatically change appearance. 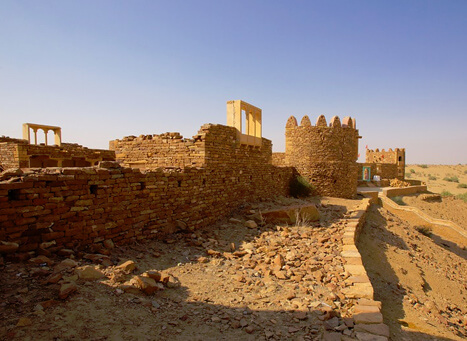 The Khaba fort is about a 30-minute drive from Jaisalmer. 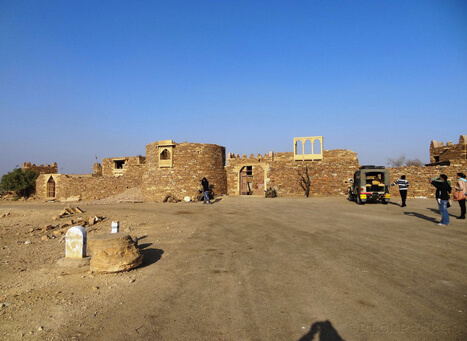 Generally, people visit the fort as a side trip on their way to Sam Sand Dunes. Alternatively, take the public bus or taxi from the city center.